Back in March, Chris and Walt built a garden. 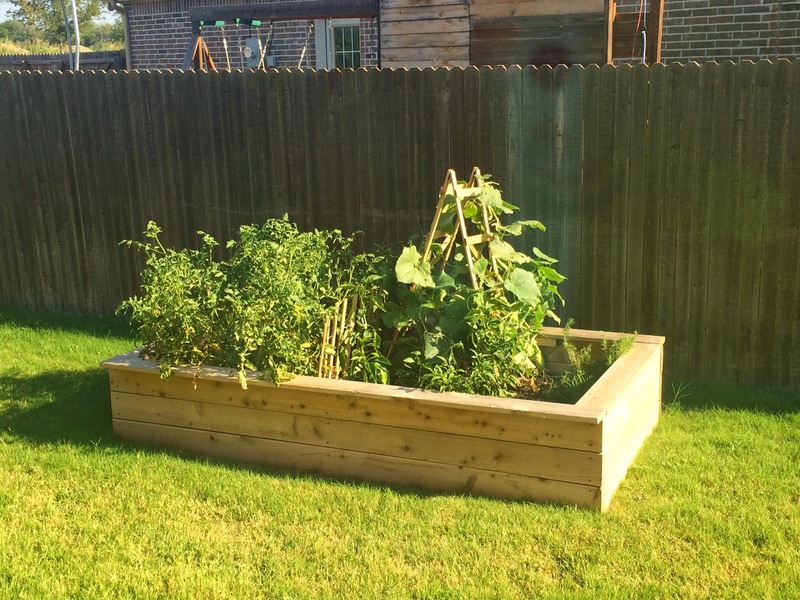 In the months that followed, we’ve had a wonderful time nurturing the garden and watching it grow. In fact, because our summer was so mild up until now, we’ve had quite the crop! 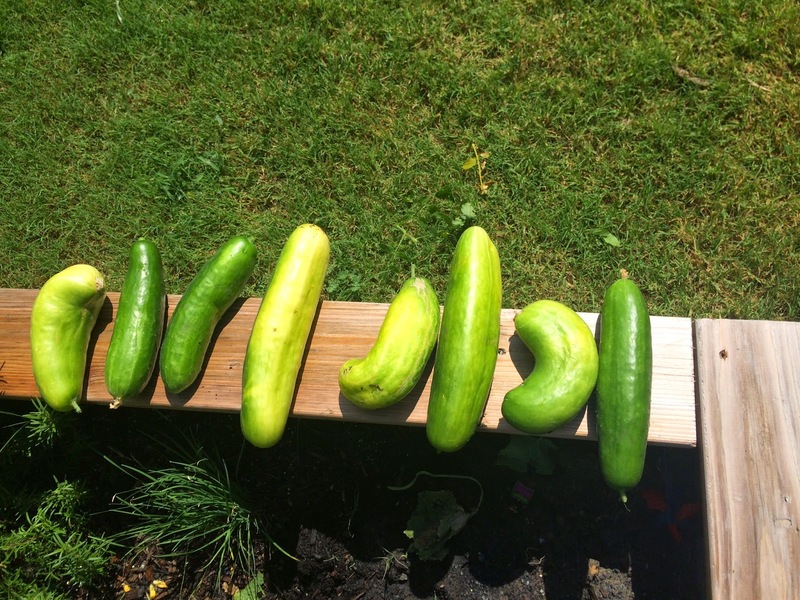 We thought our cucumbers were never going to make it (they started out pretty pitiful), but they ended up being the best thing we had. As the weather starts t get out of the 100s (I’m thinking September), then the jalepenos should pick back up. Our flourishing garden. Tomatoes on the far left, cucumbers on the vine, and bell and Jalepeno peppers in front. This was one day worth of picking.